Sometimes you might find that LSHTM library doesn't hold all the information you need for your research or study. Luckily, you can often still get access to the material you need by visiting other libraries in the local area. The Bloomsbury area has one of the highest concentrations of educational and research institutions in the world, and they all have libraries! There have been some changes to two services - Search25 and SCONUL Access - which can help make accessing material in other libraries even easier. Search25 is a new resource discovery tool which allows you to search the collections of nearly 60 well-known institutions within the M25 Consortium of Academic Libraries in a single place. These resources are all located in London and the South East of England. The video below explains how to use the service and start 'library hopping'! You can also use the service to search the 'Union List of Serials' - all the periodicals held by the libraries of the University of London, plus Imperial College London and the University of Westminster - just select this option from the drop down box on the homepage. The SCONUL Access scheme allows members of the School to join many other university libraries in the UK and Ireland. You can now register to use this scheme online, via the SCONUL Access website. Just tell the site what kind of user you are and it will display a map showing you the libraries you can access. You'll need to complete an online application form, which will be sent through to the LSHTM Library for approval. When we have approved your application, you will receive an email confirmation - you just need to take a printed copy of this email and your LSHTM ID card to the library you would like to visit. When you apply online, you'll be asked to choose a specific library to access, but your email confirmation for this library will also allow you to access other libraries participating in the scheme. It's also worth bearing in mind that you are unlikely to be able to access electronic resources from other libraries as these are usually restricted to use by each institution's staff and students. If you have any questions about either of these services, or other ways to access material in other libraries, let us know by emailing library@lshtm.ac.uk. 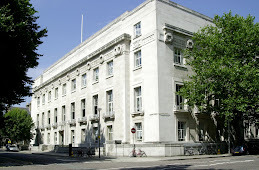 Don't forget that members of the School are also entitled to join Senate House Library, which allows you to borrow material and access electronic resources - just complete a membership form and bring it along to the LSHTM Library Enquiries Desk to be validated. You can also visit other University of London libraries via the reciprocal access scheme. We can also source material that we don't hold in our own library via the inter-library loan and document delivery service.